Claire Molloy has been named as Ireland’s captain for the upcoming Women’s Rugby World Cup. The 29-year-old doctor who plays for Bristol RFC takes over the captaincy from Niamh Briggs, who was ruled out of the tournament earlier this week with injury. Molloy, who was a member of the Galway Ladies’ team who competed in the All-Ireland final in 2005, has been capped for 53 times her country and is set to appear in her third World Cup after competing at England 2010 and France 2014. Speaking on her selection as captain, the flanker said; “I am incredibly humbled to be given the opportunity to captain my country, it is a massive honour to be selected to lead the team in a World Cup on home soil. 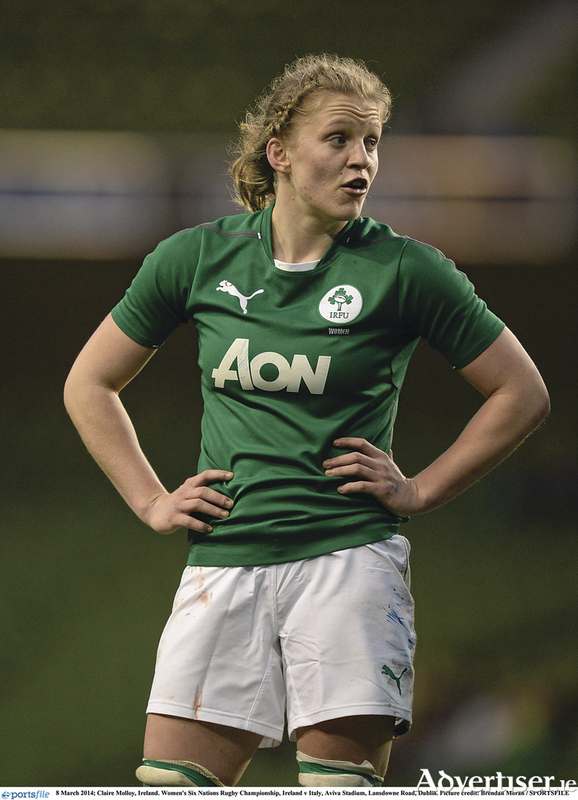 It is not the first time the Galwegian has captained her country, leading the Ireland Women’s sevens side during the 2013 Sevens Rugby World Cup in Russia. Head coach Tom Tierney said that Molloy’s great leadership qualities during the team’s World Cup preparations was one of the reasons why she was the best candidate to succeed the crocked Briggs. “Claire is one of the most experienced players in the squad, and having competed at two previous World Cups, she is very much aware of the challenges that lie ahead. The tournament kicks off next Wednesday when defending World Cup champions England play Spain at the UCD Bowl at 2pm. Ireland get their campaign underway at the same venue later on in the day when they clash with Australia at 7.45pm before taking on Japan and France on Sunday August 13 and Thursday August 17 respectively. The final takes place at Ulster’s Kingspan Ravenhill in Belfast on Saturday August 26. Page generated in 0.1984 seconds.